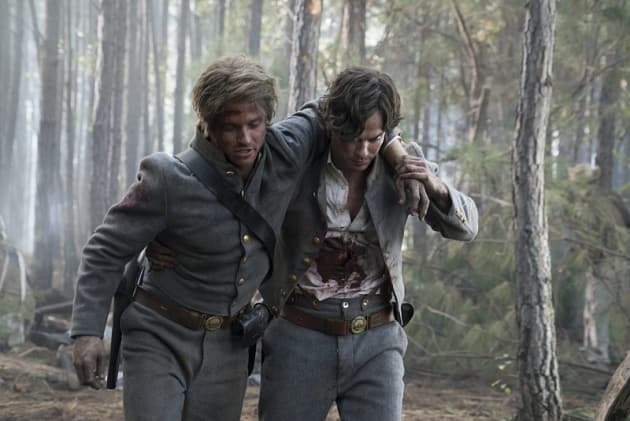 Damon gives a fellow soldier a hand in this flashback photo from the first Vampire Diaries episode of 2016. The Vampire Diaries Season 7 Episode 10: "Hell is Other People"
Well, it’s not like I was expecting a parade, but where’s my parade? Permalink: Well, it’s not like I was expecting a parade, but where’s my parade? This PTSD puppet show wouldn’t happen to be, by chance, a ploy to get me to feel remorse for your pointless death, would it? Because it ain’t working, Mama. 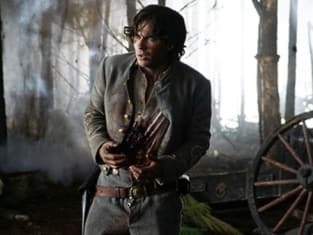 The Vampire Diaries Clip: Damon the Hero?